As the markets continue to trade near record levels, investors are eager to get into the market, but at the same time are understandably concerned of a possible sell off due to the market’s recent strength. There are a lot of unknowns in the current market, including geopolitical tensions, rising interest rates, and the possibility of an all-out trade war between the U.S. and China. Overall economic conditions remain solid in the U.S., but any of the above concerns could easily derail both the overall economy and the stock market, which puts investors in a awkward positions. On one hand you want to participate in the market while the economy is strong, but you have to safeguard yourself against a potential sell off. One great way to invest with a little peace of mind is by seeking out sector leaders and putting your money to work with them. Sector leaders tend to be a little less volatile since their presence in their sectors provides a little additional safety if the overall sector turns south. If you find yourself in the position of having some cash you want to invest, but are unsure of which direction to turn, consider the following sector leaders, all of which would be great additions to your portfolio at the current time. The primary reason I like the waste and recycling sector is that demand will stay pretty steady regardless of overall economic conditions. A full blown recession would obviously lead to lower demand, but barring a huge economic slowdown waste companies enjoy steady demand and as populations expand that demand will only grow over time. The waste sector also has huge barriers to entry, so leaders in the sector such as Waste Management (WM) really do not have to worry about new competitors coming into the market, which provides good pricing power for the companies that have already established their positions in the sector. WM recently hit a new record high after posting better than expected Q2 earnings in July, and currently trades at $89.36 with an average price target of $94.33. Alphabet (GOOGL) is the parent company behind search engine leader Google, and the company continues to have a strong dominant position in the highly lucrative online search market. The only real competitor to the company’s dominance is Facebook (FB), but Facebook has come under pressure as of late following a weak quarterly report with sales disappointing. Google has long dominated search advertising, which continues to grow in importance as more and more retail is being handled online. 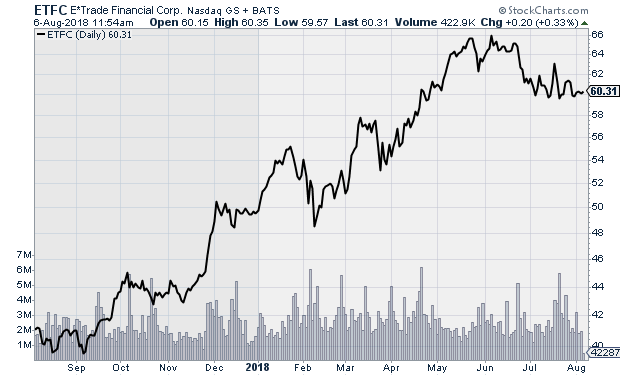 The stock has been a strong outperformer for the last several years, and is currently trading just shy of its all-time high. 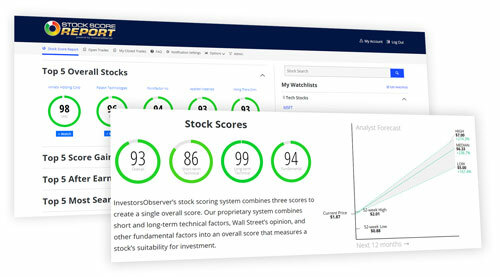 The company reported another solid quarterly report toward the end of July, which should keep momentum under the stock over the next few months. 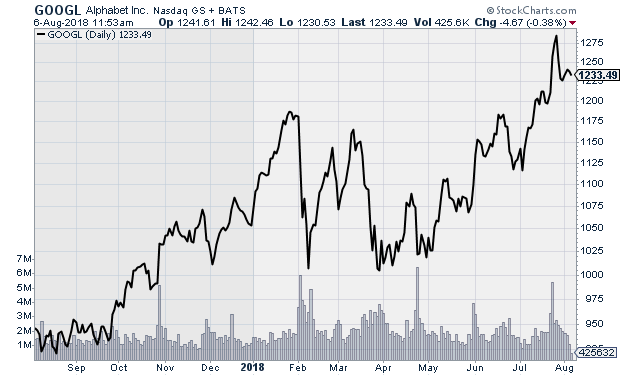 GOOGL trades at $1,234.93 with an average price target of $1,359.86. While the smartphone market has started to saturate, iPhone maker Apple (AAPL) continues to lead the sector, and its last set of quarterly numbers proved that consumers are still eager to purchase the company’s smartphones regardless of rising prices. Apple is selling fewer iPhones, but higher prices have not deterred Apple fans from lining up to purchase the phones, and as such the company reported blowout numbers for its most recent quarter. Revenues were up 17% and earnings were up 40% year over year, proving the company is still growing at an impressive rate, and putting to rest some fears regarding the saturation of the smartphone market. The company reported an average iPhone selling price of $724 last quarter, which was well above the $693 average price that analysts had expected. Following the report the stock shot higher, resulting in the company becoming the first-ever publicly traded company to reach a $1 trillion valuation. 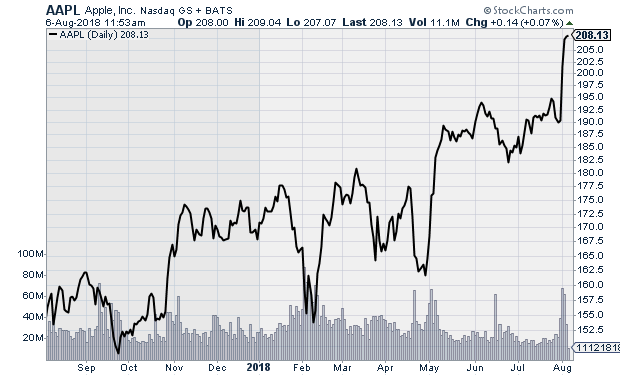 The stock now trades at $207.39 with an average price target of $205.65. 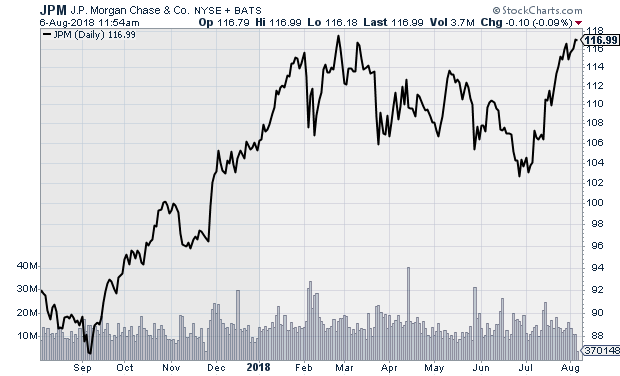 In the financial sector, JPMorgan Chase (JPM) continues to be a strong performer. Following a solid quarterly report mid-July, JPM shares moved higher and the stock is currently trading just shy of its all-time high. Rising interest rates are a good thing for the financial sector for multiple reasons. The most obvious reason being that banks are able to earn more interest income on funds they loan out to their customers. A second reason is that it is somewhat safe to assume that the Federal Reserve would not be lifting rates if it was not confident in the strength of the overall economy. A strong economy leads to increased financial activity for banks, and low unemployment and modestly rising wages should lead to increased customer deposits. JPM is a leader in the sector and analysts see the stock rising to $122.69 from it current $116.88 price. 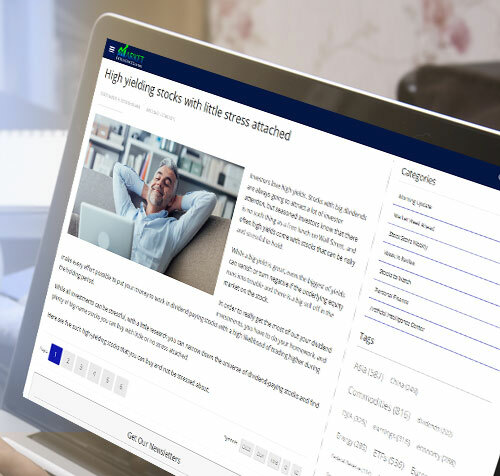 Online brokerage firm E*Trade (ETFC) has been a leader in the sector for years. What some investors may find surprising about the company is the importance of interest income to its overall bottom line. It is estimated that around 70% of the company’s overall valuation comes from interest income. The reason being that the company is able to invest customer deposits in short-term fixed income assets until they are needed to fund trades. As a result, the company is highly impacted by even the slightest change in interest rates. With rates rising, and expected to continue doing so for the foreseeable future, E*Trade should enjoy strong bottom line growth moving forward. Analysts expect to see earnings rise by 52.1% during the current year, and by an average 22.6% over the next five years. With a forward P/E of just 14.9, the strong growth numbers justify stock strength moving forward. 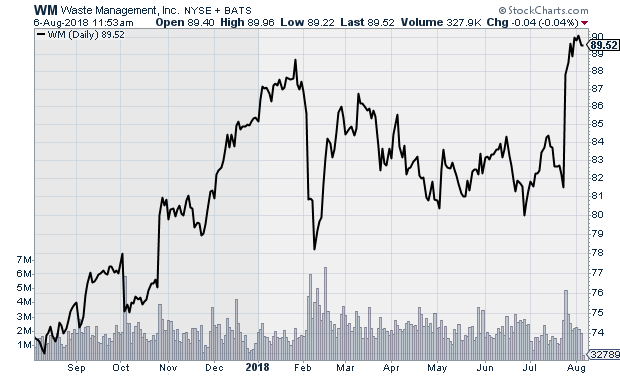 The stock trades at $59.94 with an average price target of $68.73.